The total number of apps downloaded (excluding updates) overtook songs in June/July and continues on its trajectory. 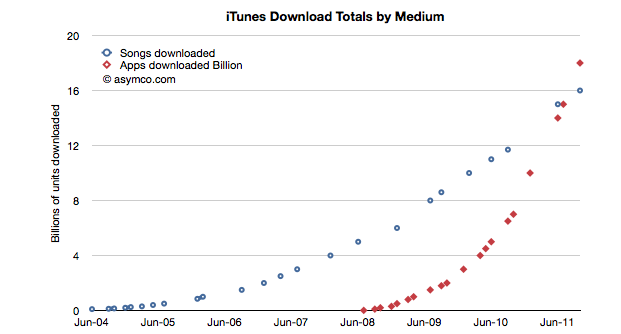 In fact, the rate of downloads for Apps is now over 1 billion / month. Given the data points above, I calculate it to be about 34 million per day. The corresponding rate for songs is 8.3 million per day. I used trailing four periods’ moving average for the lines to show the trend more clearly. 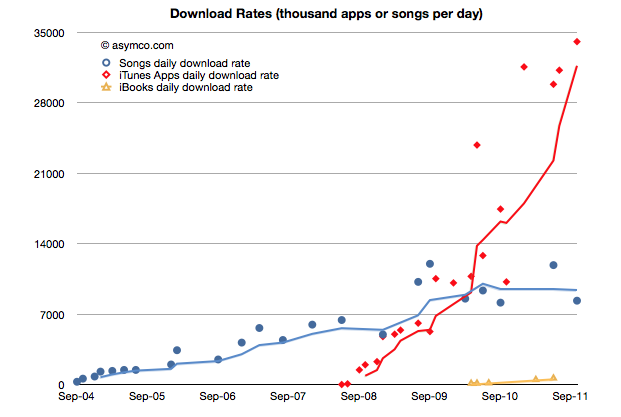 The gap in download rates is large and increasing. Now most observers would note that songs are much more expensive than apps, especially since there are no free songs and many apps are free. 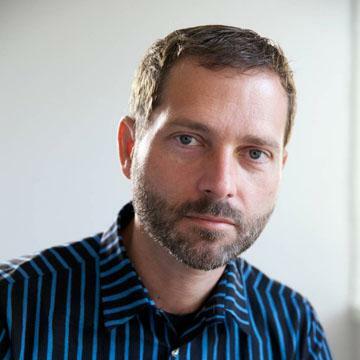 This would imply that the music business is probably more valuable than the app business. That’s true, but not by much. To determine how much, I used the other data point offered: $3 billion in payments to developers. Since that represents 70% of gross revenues to Apple, we can determine that the average price per app is now 23.8c (down from 28.5c in April 2009). 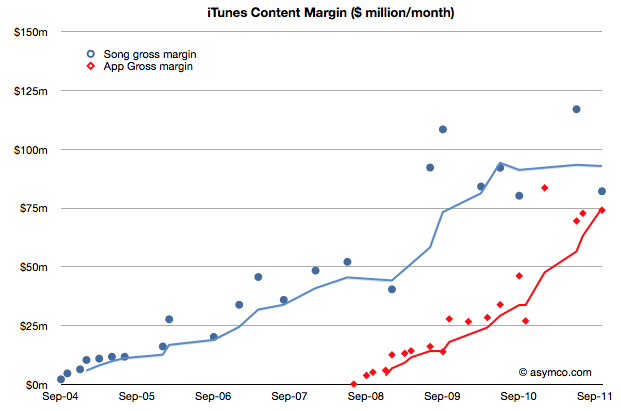 Knowing the app price we can plot both revenues and the margin that Apple keeps. The data jumps around quite a bit but the trend is pretty clear. After paying the content owners, iTunes is left with about $75 million per month from apps and $85 million per month from songs. Apple then needs to pay other direct costs like credit card processing, bandwidth, storage, curation and testing. Then there are other operating expenses like R&D and marketing. These costs add up such that, according to Apple, they cover revenues, yielding a break-even operation. Break-even or not, the way the data is trending it’s pretty clear that Apps will be responsible for a the majority of content cash flow at Apple. At a billion downloads a month (and rising) the value in terms of revenues is already a run rate of $2.9 billion per year. This has been enough to overtake a business that has been running for more than seven years. The payments to developers probably includes in-app purchases. ‹ Previous Post Why is there no iPhone 5?